This ran several years ago in Atlanta magazine. 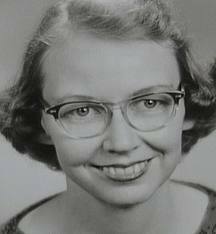 Despite a title like “A Good Man Is Hard To Find,” Flannery O’Connor did not write “chick lit,” unless you count her detailed observations on those cherished peacocks. Who wouldn’t be afraid to sip Chardonnay and go shoe-shopping with Flannery O’Connor? However, as her painstakingly typed, Milledgeville-postmarked letters reveal, she could be the best kind of friend – a compassionate confidante who honored her pal’s secret, which no doubt would have scandalized most of the “good country people” at the time. This month, Emory University unveils a collection of about 270 letters that O’Connor wrote to her longtime friend Elizabeth “Betty” Hester, an intense, reclusive Atlanta woman who supported herself as a file clerk but lived and breathed philosophy — the more esoteric, the better. The two women bantered Big Ideas on heavy morality, usually “Romish” in tone, as O’Connor described her militant, blood-soaked Catholicism, and in search of the “Absolute.” They are leavened, though, by folksy, catty gossip; avian updates; and whimsical, out-of-the-blue pronouncements. “I feel lumpish,” she sighs at one point, and that seems a perfect adjective for a certain state of mind. She must have made her pensive correspondent, who suffered “up and down times of elation and depression,” laugh out loud with her dispatches from Andalusia, the family farm in Milledgeville, which, to any native Georgian, connotes the state’s storied mental institution: “I promise a trip to the asylum and the reformatory…can you wait?” It pains modern fans to be reminded, of course, that the author occasionally and offhandedly dropped the ugly racial epithet. Still, gathered together, these intimate writings make for some of the most revelatory, “Christ-haunted” epistles since the New Testament. Some of these letters are published in partial, expurgated form in The Habit of Being: Letters of Flannery O’Connor, edited by Sally Fitzgerald, who then donated this archive to Emory in 1987 on the condition that it remain sealed for 20 years. Hester’s name was a fiercely kept secret, even among that most indiscreet of demographics – Southern literati. In The Habit of Being, her contributions – passionate, cerebral treatises on everything from modernism to virginity — are signed simply “A,” for anonymous. The identity of the mysterious “A” finally was revealed, tragically, in 1998, when Hester shot herself in the head, surrounded by 4,000 books and several cats, in her small, musty Peachtree Street apartment. She was 76. 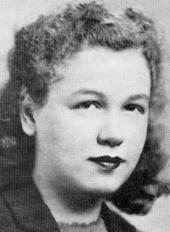 She left behind some unpublished stories and novels, along with her voluminous correspondence. Hester and her famous friend had written to each other almost every week for nine years, until 1964, when O’Connor, 39, died of lupus. (Ironically, in adolescence, both women lost parents to the forces that later would kill them – Hester’s mother committed suicide, and O’Connor’s father also succumbed to lupus.) These boxes stuffed with yellowed sheaves of O’Connor’s discursive observations remained unpublished and under lock and key — until now. What, exactly, transpired between these unusual pen-pals, who seem to have reveled in some kind of sweet, mutual girl-crush, even if it was sublimely Platonic? Curator Stephen Enniss hears this question often enough. An eyebrow-raising passage in one letter alludes to a Milledgeville visit by Hester during which the guest bed clearly had not been slept in, notes Lynne Huffer, an Emory professor of women’s studies who specializes in feminist and queer theory. So was she or wasn’t she? In fact, O’Connor’s work figured prominently in a conference titled “Queering the South” a few years ago at Emory. Of course, some overactive imaginations might be tempted to read between the lines of O’Connor’s response to her friend and intuit the age-old rebuff of “I just want to be friends.” However, that interpretation also would cheapen the mystery – that vaunted, defining, and consuming force in O’Connor’s life, work, and legacy. Fortunately, she found true friendship with at least one good woman.